To make a company successful, Employees and the end buyers (Customers) are the most important. If customers are not there company would not run. However, who make these customers satisfied working all day long? They are the employees working aggressively around the clock to make product or service better to reach the end consumer. Behind every successful company, there are the effort worthy employee working. Right from lower to High-level management, Employees are required for the strategic and implications of those strategic decisions. For the same, they are rewarded with huge salaries to help the company grow in future. These highest paid salary workers are usually from management position as they have loads of experience in their field and have insights of the company as well as competition. Here we will look at 10 of those employees who earns the highest salary in the world in 2019. Working currently as the President and CEO of the Vector Group, Howard has been with Vector for several years now. He is the smart investor and businessman residing in the United States. Howard is said to have half ownership of New York’ biggest real estate company Douglas Elliman. According to the reports, Howard has almost 40% hike in his total earning as of 2016. His earnings in 2015 were said to be $42 million, which increased by around $30 Million in 2016. Howard signed a 7-year deal with Vector to be in the position he is for 7 years more. The deal also included $1.2 Million of Restructured stock shares. Going by his base salary of $3.1 million, which will also increase yearly, he is entitled to perks like Car and driver by the company, $90,000 of lodging expenses, 2 club memberships etc. Apart from these, he is also executive Chairman of a Hot Dog Company and serves as a director at Morgan Hotels. Director and CEO of General Growth properties, Sandeep Mathrani has comparatively seen a dip in his earnings from his previous to this year. Although his bonus was increased, his salary dip is reportedly from $39.2 Million to $12.7 Million. Sandeep joined GGP in 2011 when the company was recovering from bankruptcy. He refocused the real estate and brought the company back to its feet in the short span of time. Prior to being the Director and CEO of the company, Sandeep served as president to Vornadi realty from 2002 to 2011. Being in the real estate sector for more than 20 years, Sandeep is considered to be a veteran in the industry. CEO of First Data Corporation, Frank is an intellectual Visioner who transformed the company with the help of Innovative technology and brought a new range of products and services to be provided to the customers. He earlier worked with JP Morgan chase as co- COO and CEO of Mortgage banking. The first step upon his entry to the company was Equity ownership that turned the 23000 working employees in the company as the shareholders of the company. Because of his skills the company had a huge turnaround which was also covered by Wall Street Journal. In short span of 4 years with the company, Frank has been able to make several strategic decisions and ensure them to execute as well for the growth of the company. Highest paid Female employee in the US, Safra is the Co- CEO of the prestigious company, Oracle. With her seventeen-year career with Oracle, Safra has been able to climb the stairs of success. Safra joined the company as Senior VP in the year 1999 and is now serving as the Co-CEO. She is responsible for company’s financial, legal as well as manufacturing operations. Safra was awarded the package after she became Co-COO in 2015 with $1 Million as base salary and $10.5 Million in special equity. Safra is more of an aggressive employee who is known for her aggressive approach towards company’s decision which involves 85-company acquisition in half a decade. Serving as Co-CEO and Director of Oracle, Mark Joined Oracle in 2010 as Co Vice president with Safra a Catz. He was selected solely on the experience and work performance in HP over the years with an expectation to give more to the company. He has more than 30 years of Industrial experience making him know in and out of the industry and its potential as well. He strives hard to increase the efficiency of the company with effective management and continuous innovation. His base salary comes to $9,50,000 with other compensation making to around $41 million earnings yearly. 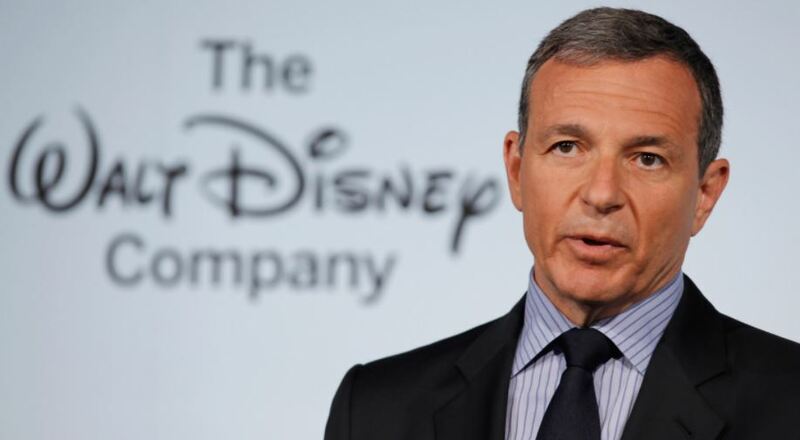 The CEO of Walt Disney, Robert Iger is leading the most loved and biggest media Company in the world. The Chief executive Officer is said to be a powerful Steward who acquired 3 media companies, Pixar, Lucasfilm and Marvel Studios in Disney and increased its brand Value. Robert is said to be working on three basic principles: – Creating Creative Content, Fostering Innovation with the help of Latest Technology and expanding the Creative content across the globe. Although Disney has seen an increase in value, Robert’s annual earnings saw a dip from $44.9 Million in 2015 to $43.9 Million in 2016. His base salary is $2.5 Million whereas his incentives are $20 million and $17.2 Million of Shares and options. Owner and Founder of Regeneron Pharmaceuticals, Dr. Leonard Schliefer is among the leading Bio-Pharmaceutical executives as per the Forbes. Since its inception in 1998, there has been almost 220% hike in the share prices of the company. Leonard is a drug maker himself and founded Eylea drug used for Macular degeneration. It has been reported that over 5 billion sales have been done for the Eylea drug all over the world till now. Leonard is said to fulfill his father’s dream in the medical field, as he could not and had to be satisfied with family Business. Regeneron Company has said to bring new drugs for Asthma, Cholesterol, and Arthritis, which helped the company grow in leaps and bounds. Former President and CEO of Viacom, Philippe Dauman had rather good 2016 with huge earnings in his bank accounts. He failed to retain his position in Viacom but gained huge benefits because of it instead. His exit from Viacom was termed to be a termination with no cause. In 2015 his package summed to $54 million. Of the $93 Compensation he had in 2016, $3.6 Million was his base salary, $31 Million in stock and option awards along with non-equity rewards. $54.8 Million were the termination benefits he received as per the clauses. The company came into limelight with bashing their highest paid employee but reasons were unknown. The highest paid employee of TV network CBS and the second highest paid employee in the world, Leslie is the Chairman of CBS Corporation. Leslie has mostly served in the management positions all his life and has been the highest paid CEO for many years. His vision of making CBS the largest TV network has seen a success and they are streaming the best TV shows on the network. Being the CEO, he is continuously focused on ratings and viewership of the shows. Leslie’s pay increased by 22% from 2015’s $56.8 to 2016’s $69.9 Million. His earnings consist of $ 32 million in Cash bonus while $31.9 Million in stock and option awards. 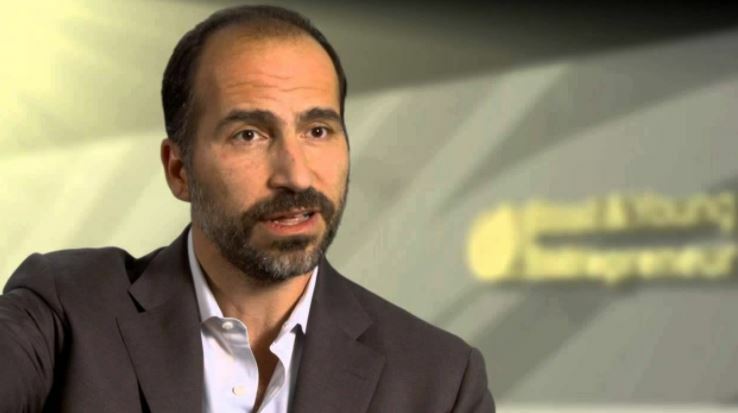 The highest paid employee in the world is Dara Khosrowshahi. He is serving as Chief Executive Officer for Expedia since the year 2005. His leadership has proved fruitful to the company as the company is now expanded to more than 60 countries all over the world. Being an Iranian executive, he has aced the list of highest paid employees. Out of his $94.6 Million earnings, $10,00,000 comprised of his base salary, Bonus of $27,50,000 and $90,845,602 in stock awards. Going by the paycheck, Dara is heavily paid on his stock options. He has been on the list of highest paid Employees since quite a time now. All of the above-stated employees are well-known executives and prominent Business figure in the industry. They are well aware of the industry insights and with their insight, they strive for better growth and development of the company. Under their pristine leadership, companies have been able to expand the realms to several other countries thus increasing their share price and company growth day by day. They are an inspiration to their members who can take their legacy forward and run the company with their own sight and innovation.